It's been three days since Apple started decorating Moscone West with WWDC 2013 banners, and today the company has started publicly showing off new signage hinting at the next iteration of iOS, iOS 7. 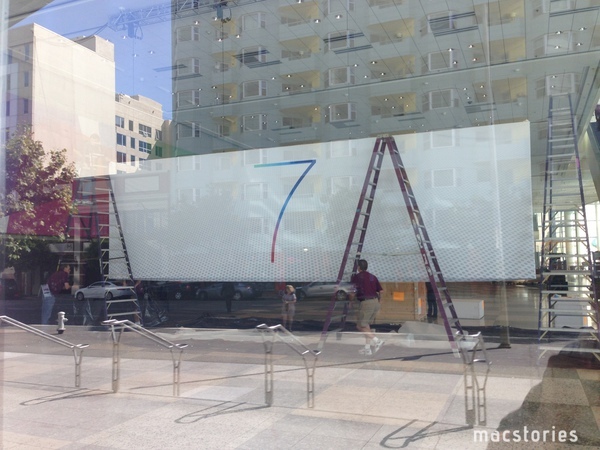 In a press release published in April, Apple said developers attending WWDC would learn about the future of iOS and OS X.
Update: Apple has also just started assembling banners hinting at OS X, which, similarly to the "7" banner, simply say "X". The background of the banner seems to depict an ocean wave. Brought to you by Pocket. Our thanks to the Pocket team for helping us with WWDC coverage directly from San Francisco. We’re looking forward to Monday’s keynote, and in the meantime we’ll continue updating our Moscone West 2013 post with great photographs as they come in. 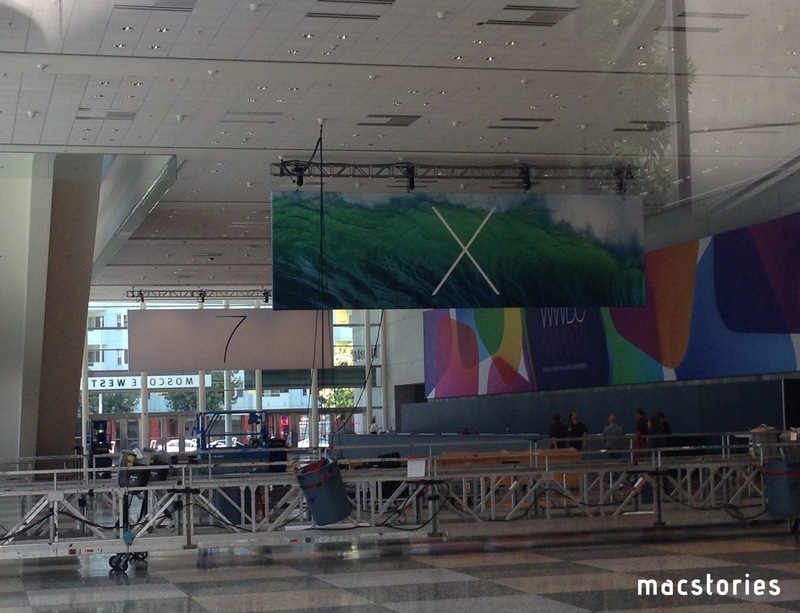 To stay up to date on our WWDC liveblog, you can grab our Passbook pass.